A New Hampshire man is accused of breaking into a Concord home before assaulting a 13-year-old girl while she slept. A New Hampshire man faced a judge on numerous charges after police said he broke into a stranger's home early Monday morning, disrobed and assaulted a 13-year-old girl. 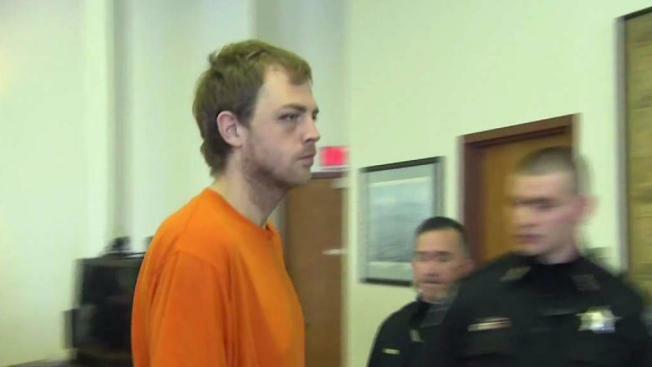 Miles Anderson, 28, of Concord, pleaded not guilty during his arraignment Tuesday on multiple charges, including burglary, simple assault and two counts of indecent exposure, police said he broke into a home on Washington Street in Concord just after 4 a.m. the day before. Police said they received a 911 call from the homeowners, who had been detaining Anderson. Authorities said the suspect is not known to the homeowners. Preliminary investigation indicated that Anderson entered the home without being invited and made his way into the bedroom of a sleeping child, where he disrobed and assaulted the victim, according to police. The victim was able to flee the room and alert other household members. Anderson allegedly then tried to flee the residence but was caught by an adult man in the home and restrained until police arrived and took him into custody. In Merrimack County Superior Court, prosecutors outlined Anderson's criminal history, which included drug and criminal trespassing charges. His attorney said Anderson's mental health issues played a role in Monday's incident. Police said the investigation is ongoing, and additional charges are possible.